Highly unusual Chinese Map of Tientsin that DOES NOT show the Foreign Concessions. 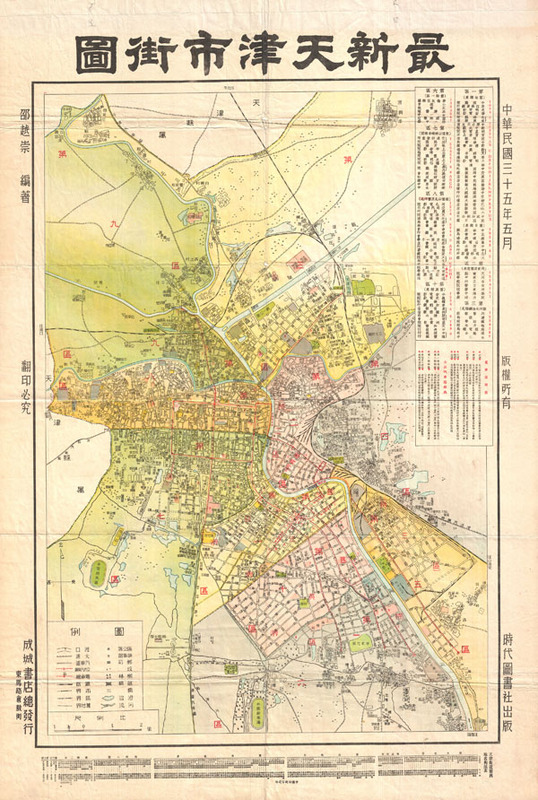 A highly uncommon map of Tianjin (Chinese: ?? ; pinyin: Tianjin; Wade-Giles: T'ien-chin; [t?i??n?? t??in?? ]; Postal map spelling: Tientsin), China dating to 1932. Tientsin was a major trading center in Northern China and, like Shanghai, had administrative concessions to several foreign nations including England, Italy, France, Austria-Hungary, Belgium, Japan, Germany and Russia. Curiously none of the foreign concessions are noted on this map, suggesting it was issued by an isolationist anti-trade element. It does however identify streets, rail lines, administrative buildings, parks, and public centers. All text in Chinese.